This interactive course was designed specifically for NJHPDI and is ideally suited to a small group. The core of the course will be the identification and differential diagnosis of oral soft tissue lesions. 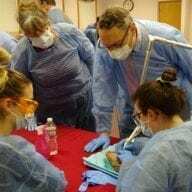 Clinical photographs, radiographs and patient histories will be presented to members of the class who will discuss the data and generate additional questions. From these inquiries diagnostic possibilities and probabilities will be discussed and appropriate treatment plans will be formulated. Dr. Quaranta will function as a facilitator rather than a lecturer as the process unfolds. This course will use as the format, the Problem Based Learning (PBL) module with additional data generated using the venue: What we know, What we want to know, Learning issues and Treatment Recommendations. The Biopsychosocial aspects of the patients will also be emphasized. Treatment planning routine dental care for patients with common and complex medical conditions will also be considered in the discussions. 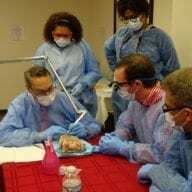 A hands-on oral cancer technique will be demonstrated by the instructor with special emphasis on examining the extreme posterior aspects of the mouth and oropharynx where the new and increasingly common HPV related oral cancers are identified. The participants will have the opportunity to perform these exams also. Have accessed medical data bases such as PubMed and the Cochrane informatics system. Attendees are encouraged to bring their laptop and/or tablet to access medical data bases such as PubMed and the Cochrane informatics system. Dr. Quaranta, while a faculty member of NJDS in 1991, took on a two-year residency program in TMD disorders and oral medicine/ oro-facial pain. In 1992 Dr. Quaranta entered the Kean University Graduate School of Psychology where he performed research and obtained an M.S. degree in clinical psychology in 1997. "Dr. Quaranta was an entertaining and knowledgeable teacher and had a real passion for the subject matter. NJHPDI is a comfortable location to take a class and very well organized. 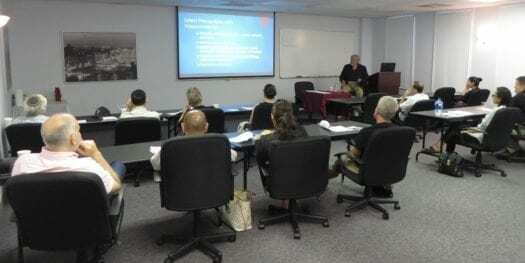 I prefer life application classes and Dr. Quaranta is a great teacher and applies the topic to life"
"Wonderful material, I came just to hear Dr. Quaranta. He is excellent." "Location and facility very nice. Amenities good, speaker excellent." “Dr. Quaranta is great. The lecture is wonderful with lots of valuable information." "NJHPDI supplies great programs. Dr. Quaranta is a very effective teacher and communicator"
“The speaker's delivery was great and the content was practical and right on important facts"
"Dr. Quaranta is very knowledgeable and engaging." 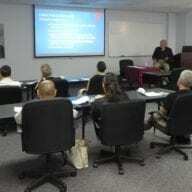 "Excellent course, great organization and presentation of relevant information." 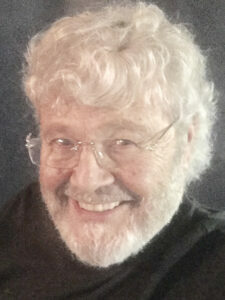 "Dr. Quaranta has good dominion of the material discussed and his method of delivery is excellent." 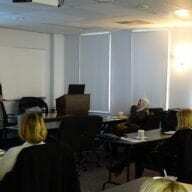 "Dr. Quaranta is a great presenter. The content was great and well organized." "No complaints for sure. 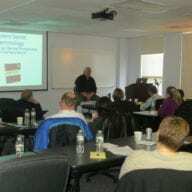 Dr. Quaranta is an excellent presenter - his knowledge of the material, his enthusiasm and easy presenting style made it enjoyable." "Very informative and interesting! Dr. Quaranta is clearly passionate about sharing his wealth of knowledge."